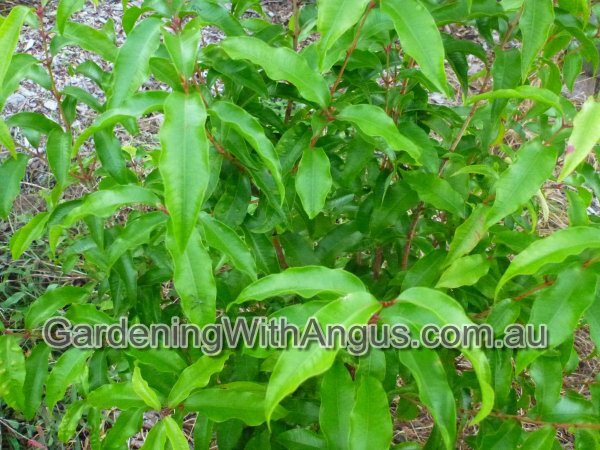 With the current interest in growing all things edible I want to share with you my favourite, easy to grow edible Australian bush tucker plants. I have grown all of these for a number of years and have eaten them all with no ill effects. However, I would caution that not everyone reacts the same way to different foods. With the current rise in allergies to common foods such as peanuts it is important to ensure that you do not have any bad reactions to any of the plants listed in this article. I have never heard of any issues with any of these plants but there is always a first time for everything! 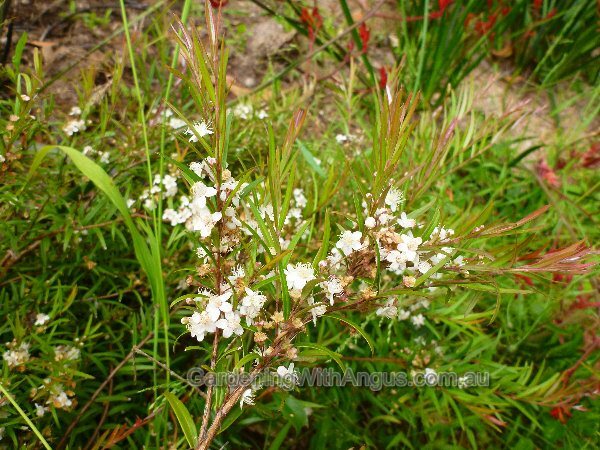 Not only is this plant one of the best bush foods, it is also a beautiful ornamental with its glossy green aromatic leaves and fluffy white flower heads. Whilst it is capable of growing into a small to medium sized tree, it can be kept as a shrub through regular pruning of the growing tips. 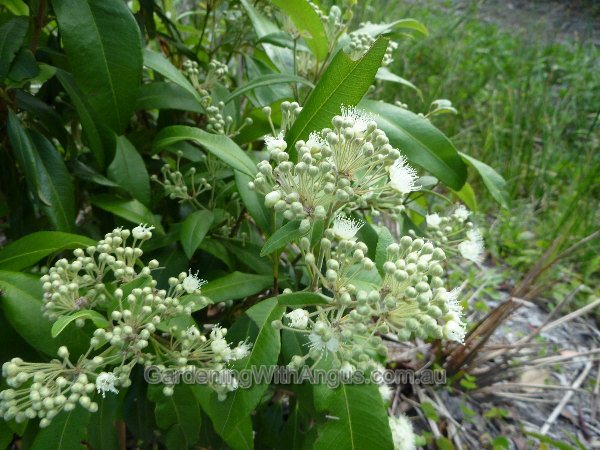 This also serves to harvest the plant for its culinary uses for flavouring all sorts of dishes. Plant in a sunny spot with well drained soil and feed regularly during the warmer months to give yourself plenty of shoot tips for harvest. The lemon scented oils in the leaves are the thing that provides the flavour. 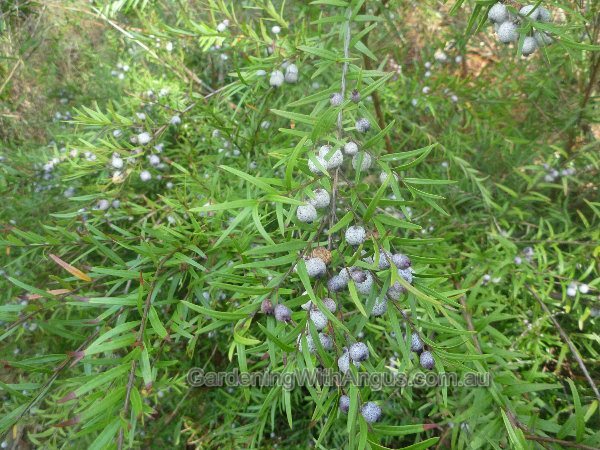 This versatile small shrub is one of the best bush tucker plants of all, featuring small but sweet-tasting berries that are borne in profusion in late summer and early autumn. It makes an attractive border, rockery or pot plant and can even be trimmed into a low growing hedge. It flowers in early summer and should be kept well-fed and mulched after that to ensure a good harvest of berries. Give it a light trim after harvest and you will be well rewarded the following season. The macadamia is a small to large tree that bears decorative trusses of cream flowers, followed by edible, nutritious nuts. 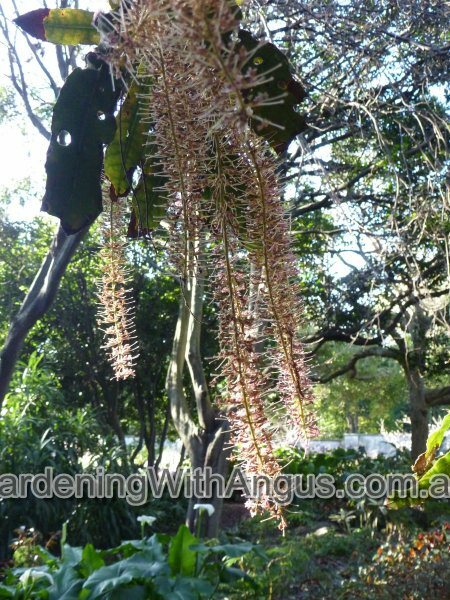 It naturally occurs in Queensland, but has spread to other parts of the world where it is grown for the nuts. 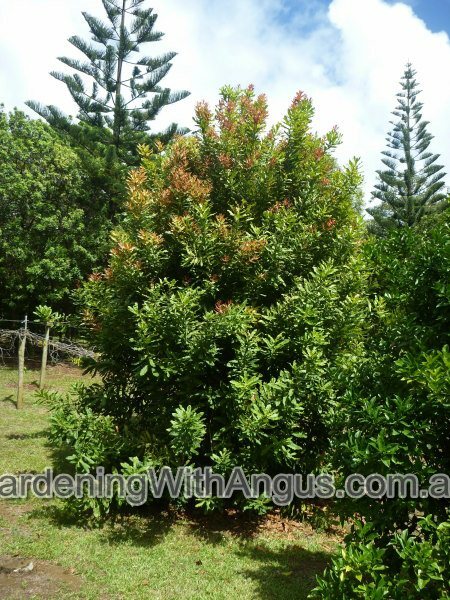 It is a hardy and easy care tree best suited to sub-tropical to warm temperate climates, preferring moist, fertile soils, with good drainage. 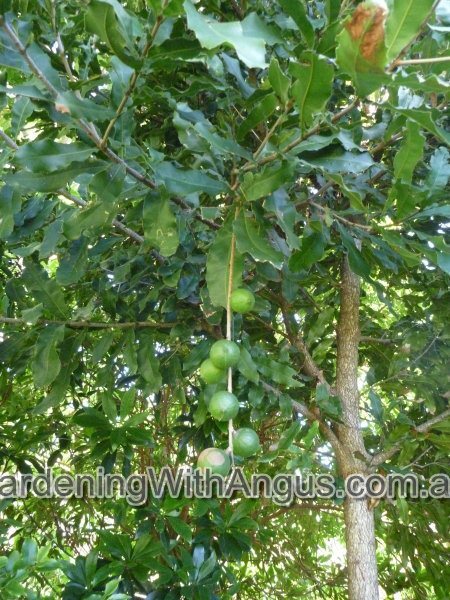 Macadamias can be trimmed to keep them to a suitable height. Macadamias can be susceptible to phytophthora. And be careful – macadamia nuts can give allergic reactions. Davidson’s plum is a small to medium sized rainforest tree from North Queensland. It bears edible, sour, dark burgundy fruit that grow in clusters along the stem. It has large compound leaves, and the new growth is red. 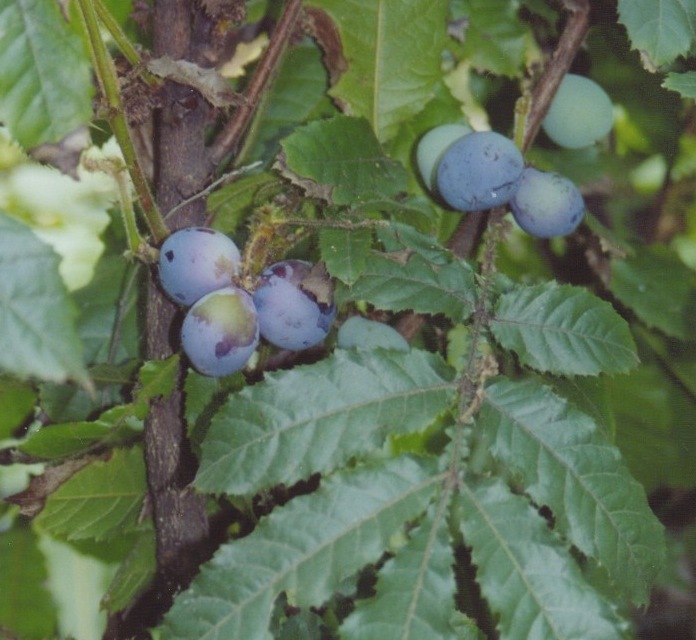 The fruit can be made into jams and jellies, used in sauces, and is high in antioxidants. Davidson’s plum can be grown in shaded positions as well as full sun, and can also be used as an indoor plant when young. It is tall and slender, so can fit into narrow places. It prefers moist and fertile soils, but is tolerant of poorer soils. It is troubled by few pests and diseases. The fruit drops from the tree when ripe. It has a rich, tangy taste, and an intense colour. 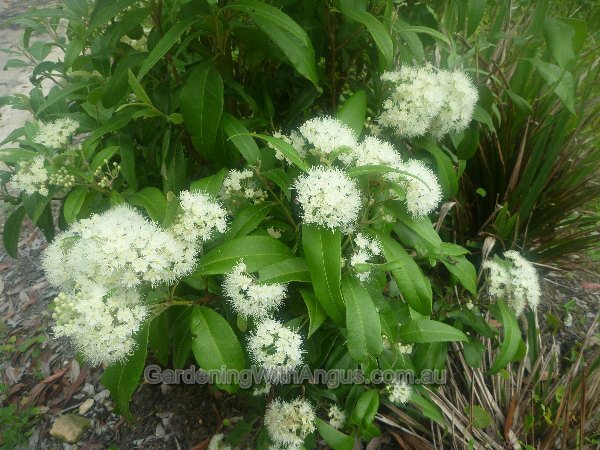 A small to medium tree that features mid-green foliage with an attractive wavy edge and a wonderful aroma of aniseed when crushed. The foliage can be used to make a refreshing tea and I have also used it personally to add an aniseed flavour to salads and stir fries. It makes a good feature or shade tree but can also be kept low in a pot through regular tip pruning. Prune it back by 20 to 30% after flowering if you wish to keep it compact. I’ve been growing Davidson’s plum for a few years now and have had some fruit from it but I haven’t used them for anything. It’s such a handsome foliage plant too and grows in quite dry shade up underneath my Nyssa. I just take the top off it every now and then to keep it compact. Davidson Plum jam or chutney is delicious and easy to make. I use granny smith apples as well as orange juice to reduce the amount of sugar needed. Thanks for the post, Angus. Lovely information. I like the sound of that aniseed myrtle. I love anything aniseed or licorice-y. Are they easy to find at nurseries? Have made that pork meatball recipe with my lemon myrtle leaves and was delicious. The smell is divine. Mine is thriving in a pot on front deck, so might get the aniseed variety to put nearby. Angus. what a wonderful article, I have a Backhousia citriodora which Carol and I love and use in all sort of ways. After reading your article I will be looking for B.anisata as well. 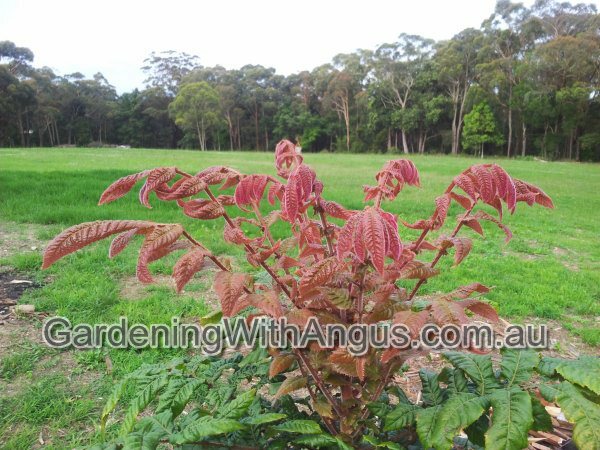 Hi Angus, I have a Vineyard that I am contemplating ripping out but would love to save the trellis system for another crop. I’m looking at bush tucker plants. I’m located in Avenel Central victoria what would you recommend in bush tucker plants that could be trained on a trellis. Step 5. Bush tucker at its best! Dig in!!! Hi Ben, There are so many plants with small blue berries, both edible and poisonous, I wouldn’t be putting them anywhere near my mouth until I had a firm ID. If it’s an Australian native plant, your local Australian Plant Society group could help. Send me a photo of the plant info@gardendrum.com and I might be able to point you in the right direction to ID it. I love to experience to cook with boab nuts.